Following the revelation that there’s a man out there hunting down and murdering metahumans, Team Flash realizes in “The Death of Vibe” that they’re in major need of a hand to track down this deranged serial killer. Nora explains how when she was a young girl in her time, and wanting to learn more about her father’s adventures, she would sneak into the Flash Museum’s Hall of Villains exhibit and read the chronicles of the Flash against his rogue’s gallery. Nora states that the only villain that ever truly scared her was Cicada because he was never caught, noting that even Supergirl, the Legends, the League, and Green Arrow all failed to capture the madman. To further complicate matters, Barry and Iris’ future daughter reveals that Cicada’s string of murders is also occurring earlier in the timeline than it was initially supposed to because of her presence in the present – thanks, Nora. This is why speedsters aren’t supposed to travel through time. Don’t worry, that’s not even the worst of it, but we’ll come back to that in short order. Let much rejoicing commence, for in “The Death of Vibe” Tom Cavanagh has graced us with his most recent Wells incarnation, Sherloque Wells. This Sir Arthur Conan Doyle inspired Wells is a French, interdimensional detective from the future and, according to Nora – as well as implied by his immense fee – is without peer. This new Wells brings with him a myriad of laughs in his interactions with the team; however, Cisco is less keen on the newcomer. Sherloque Wells points the team in the direction of a man named David Hersch, claiming that he cracked the case with his powers of deduction. It comes as quite the surprise later on in “The Death of Vibe” that his deduction was incorrect. It is here where the Holmes knock-off admits that he was simply going by how he had caught Cicada on, wait for it, 36 other Earths – with each Earth’s incarnation of the serial killer being David Hersch without exception. Now we begin to see a far larger impact that Nora’s presence in this present is having on the timeline, and Wells bemoans the presence of such a variable as timeline displacement. Meanwhile, Cicada, having surmised that Vibe works alongside Joe West and making Cisco’s hero persona his next target, breaks into the West Family home and tortures Joe for Vibe’s location; that’s no way to treat a man in a bathrobe who just wants to read the newspaper! Things go from bad to worse when Cecile wakes up and, upon seeing Joe bound and tortured, sends out a distress call to the S.T.A.R. Labs team, which is quickly responded to by Cisco, whose hands are still injured from the last episode. Just as Vibe breaches into the West home, Cicada tackles him back through the breach and they are taken to a forest, where the killer relentlessly hunts Cisco; perhaps this solo rescue was a little too big for his breaches? Despite Sherloque Wells’ uncanny detective prowess at deducing the exact forest to which Cisco and Cicada were breached, the killer siphons away Barry’s speed, leaving him powerless to stop the villain. Barry is quickly beaten down (talk about a buzzkill), leaving both Team Flash members vulnerable to the metahuman murdering madman. Nora, through some quick thinking upon taking a beat before acting for once – thanks to a father-daughter heart-to-heart – arrives with an explosive to distract and disable Cicada. For a moment, we’re led to believe that Vibe had bit the dust in the explosion, but Nora’s planning ahead accounted for Cicada being unrelenting in his hunt until he could be sure he’d killed our favorite baddie-monikering Mexican, and Cisco is revealed to be alive, if a little banged up. 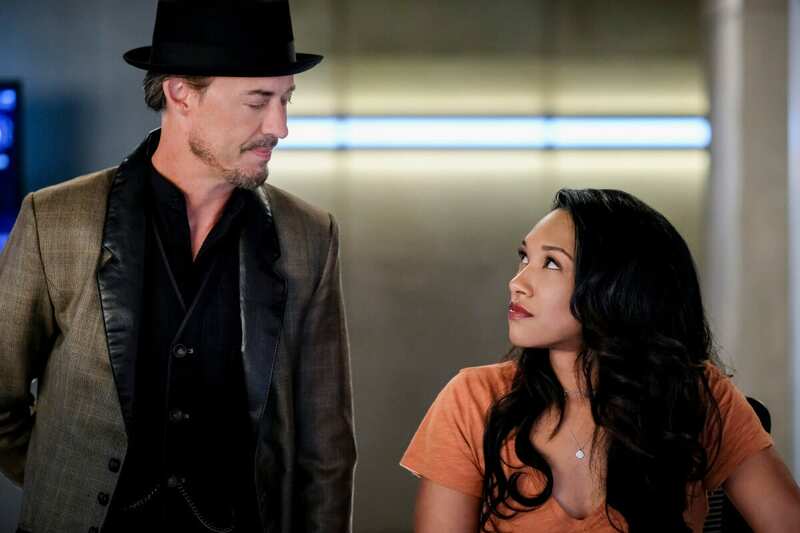 Any time Tom Cavanagh is on screen is an acting delight, and we get not just one, but two (if not a brief second one) incarnations of Wells in “The Death of Vibe.” Cavanagh’s latest take on the character brings back a lighthearted and goofy flare to the team somewhere along the lines of H.R. from season 3 (RIP), and his personality allows the actor to play around and interact much differently with the rest of the cast than with previous incarnations of Wells. I’m sure Sherloque will grow on me as the season runs along, but I can’t help but hold out hope for the triumphant return of Earth-2 Wells. As with the last episode, this week helps to further the side stories happening around the main plot, and we get more insight into Caitlin’s past with her father. Dr. Snow’s field trip to her mother’s company with Ralph serves to bring the characters to a closer understanding of each other, and I, for one, am loving the focus on Caitlin. I’m truly curious to see where they’re going with her character and how she will inevitably (it’s based on a comic book, people; it’s a pretty safe assumption) get her Killer Frost persona and powers back. 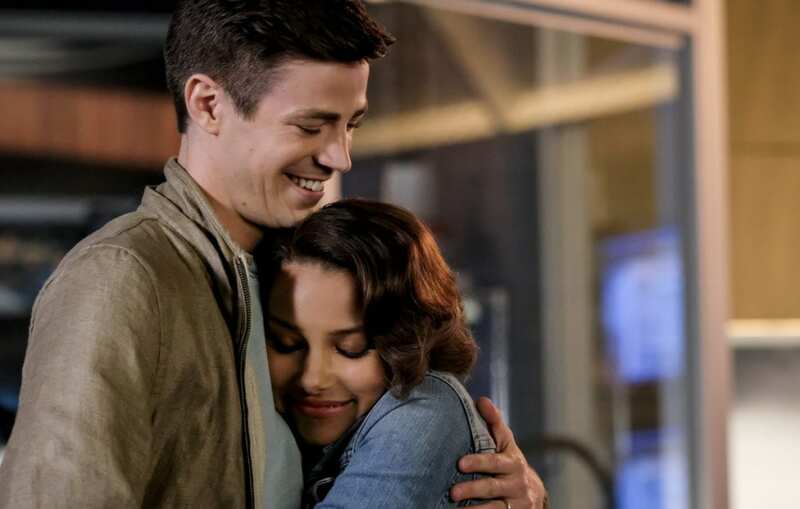 The interactions between Barry, Iris, and Nora are feeling more natural, and so far Iris’ character is feeling far more well-placed than with previous seasons. Her moments of clear reasoning with Barry really help with growth for both characters. What little Flash-action we see in “The Death of Vibe” is decent enough, but someone has to tell the CW that they don’t know how runners actually move (an observance from varsity cross-country and track). I’m half-and-half on the sound effects they’re going with for Cicada’s presence; on the one hand, it is somewhat creepy to hear the buzzing and thrumming of insects to notate the serial killer’s deadly presence in the vicinity, much like that of a rattlesnake when nearby. On the other hand, I’m not really sure how fitting the sound is, and nothing about his use of a life-energy-stealing dagger suggests that he would naturally make the sounds of the summer bugs. That aside, I’m curious to see where they go with this villain, as they already used Nora’s time traveling as a bit of a cop-out to change who Cicada really is; when Sherloque Wells says that the serial killer was a man named David Hersch in every other Earth on which he’d caught him, that’s because David Hersch is who Cicada is in the comic books as well, (but that’s a story for another day – a Friday perhaps?). The reveal at the end of “The Death of Vibe” that he’s a father with a daughter who’s in a comatose state of some sort for an unknown reason suggests that we may be dealing with a tragic and relatable villain this season. (Though I’m not sure what about murdering people wakes your kid up from a coma – maybe he’s siphoning that life energy in the hopes that it will bring her out of her current state?) “The Death of Vibe” is great from the outset, as finally getting a sneak peek at the Flash Museum, which is a major part of Flash lore in the comics, is a testament to the writers trying to make more call-outs to the source material – something that this particular Flash fanatic very much appreciates. And some of the lines shared in scenes with Sherloque Wells and the rest of the team had me worrying that I woke the neighbors, but what can we honestly expect with Tom Cavanagh on-screen? This week continued the series' strong start to the season, giving viewers Tom Cavanagh's acting, which truly completes the cast, and moving along the plot threads that have been set in motion. With more questions popping up from Nora's presence altering the timeline, the intrigue keeps getting turned up and I, for one, am excited to see what happens next!